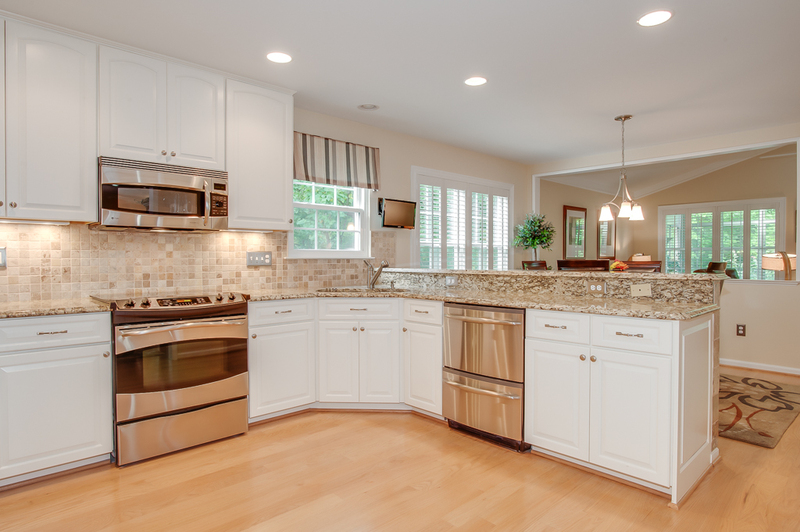 Home » Should you add granite counters and stainless steel appliances? One question we get asked a lot by people selling their homes is whether or not they should add granite counters and stainless steel appliances. We say yes, and that you’ll certainly get a return on investment (ROI). Listen to Tom explain why below. With 92% of buyers looking for homes online, upgrades like granite counters and stainless steel appliances can really make your home stand out from the crowd. Unsure about what makes sense for your unique home and situation? Give us a call at 703-822-0207 and we’d be happy to talk about what would work best for you. We can even help you choose the right granite color that will go well with your cabinets, flooring and backsplash. Learn about how to incorporate a cohesive color strategy throughout your home here. Did you know that we publish a monthly digital magazine? In it we feature video answers to common client questions (like this one! ), talk about new construction projects, and of course let you know about local real estate listings and open houses. For fun, we have a round-up of all the things our team has been up to lately! If you’d like to receive a copy in your inbox, just click here to sign up.